Today was the first big snowfall here in Columbus, Ohio, and with the first snow, comes ice and many driving hazards. Because it is the first snowfall, I am going to do a throwback post to one I wrote in December 2014 on the best winter driving tips and how to keep yourself, your passengers and all the other drivers on the road safe. Like I have said before, it is always smart to have some winter traveling tips on hand to help keep you safe when on the road. Blankets– This is great if your heat won’t work, if your car is old and takes forever to heat up, or if you break down. Two years ago, when driving home from the Upper Peninsula of Michigan after spending Christmas up there, our car broke down in the middle of nowhere where the nearest tow truck location was an hour and a half away. Thank God for the blankets we kept in the car, otherwise we would have froze because it took 3 hours to be rescued and the degrees were in the negatives! Also, keeping some granola bars in your car is also good if this happens. Make sure to keep your hazard lights on when broken down on the side of the road! Gloves, hat, and scarf– I always keep an extra pair of gloves in the car to drive with so my hands don’t freeze or for when I need to scrape the snow and ice off my car. Ice scraper, shovel and kitty litter! -An ice scraper is an obvious must. Two years ago, the shovel and kitty litter helped me out a lot. My first car, the Lincoln Town Car, was very prone to getting stuck, even in small amounts of snow, especially when parallel parking on my street where sometimes I would get blocked in by all the snow the snow trucks would push to the side. I would have to shovel my way out and put kitty litter around my tires to help with the grip and traction when easing out of snowy and icy situations. Many times two years ago, I was not able to get in my car because the lock was frozen over! When this crisis happened, I would get cups of hot water and ONLY pour it over the key hole and key. I would then wiggle the key back and forth in the key hole until it finally unlocked. Do not pour the hot water on the windows! This could cause them to shatter! Let your engine warm up once the car is started before going. This leads to a safer and more efficient car with less chance of breaking down. If your car won’t start because the battery is dead, then you will need a jump. Either have jumper cables or your AAA card on hand in case this happens. Make sure to take turns slowly and watch out for black ice! Cars can easily spin out, causing you to lose control if you are not careful. Keep your lights on if it is very snowy and make sure your windshield wipers are working properly. Give yourself lots of space to stop so you don’t spin out or lose control as well. Make sure you have enough fluid in your car to clean off the salt from the roads that clouds up your vision on your windows, otherwise you will have to stop at a gas station a lot on the road to clean off your windows. If your car has a setting for driving in the snow, then use it! (stability control and 4-wheel or all-wheel drive). Once again, have your AAA card and number on hand in case your car breaks down or you get stuck! Most importantly, if the roads are not safe to drive on, then stay off the road and do not go out driving. If needing a place to stay for the night to wait out a snow storm or if your flight gets delayed, remember that a Red Roof Inn is very budget friendly and a great place to stay for a inexpensive, warm night! 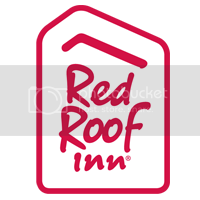 Some Red Roof Inns are right off the highway or near the airport so you do not even have to detour from your travels. Safe travels everyone! Stay safe and warm! I went to college in Ohio and vividly remember all those snowy winter drives!